Is Glue Vegan? – Is It Vegan? 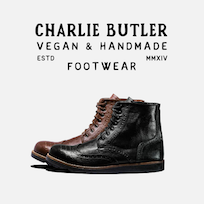 This is a guest post from Charlie Butler Shoes. They make great vegan friendly shoes and have a wealth of knowledge about vegan materials. We are super happy to have their contributions. Make sure you check out their upcoming Kickstarter campaign. Historically, humanity has used a lot of materials to create glue. In the past glues were made using egg whites, (pine wood) tar, fish and animal hides, skin, blood or connective tissues. In fact before the 20th century, most glues were made using connective tissue or hides from horses, pigs or other cattle as it contains a lot of collagen. Collagen is a protein that can be made into a gelatin that hardens when it dries up. Fortunately, nowadays most glues are synthetic. Synthetic glues are usually made out of Polyvinyl acetate (PVA), a compound that, like all plastics, stems from oil. Glue can be found in anything, your shoes, bicycle, purse, backpack, car, electronics, and so on. It can be difficult to find out what glue manufacturer your product is using. Even if you find out the glue company, getting them to confirm what’s in their glue can be extremely difficult, if not impossible. There’s no legal obligation for them to share their formula, and their glue mixes could be proprietary information. The glue industry isn’t under the same scrutiny that the food or baby products industry is subject to, for obvious reasons. So, while it’s probably unlikely that glue contains animal products, you cannot be 100% sure unless the manufacturer can confirm the ingredients. “Is glue made from horses or other animals?